Ábalos is a municipality in the autonomous region of La Rioja. It is in the Upper Rioja region, on the left bank of the River Ebro close to Haro. To the north it borders the Toloño Mountains and the Herrera Mountain Pass, to the south it borders San Asensio and Baños de Ebro, to the east it borders Samaniego and Villabuena de Álava and to the west it borders San Vicente de la Sonsierra. -Location: It is part of the district of Haro. -Economy: The main activity in this Riojan village is farming, particularly grapes. Agoncillo is a municipality within the autonomous region of La Rioja. The Logroño-Agoncillo airport, which is the only one in the region, is in the municipal area. -Location: It is part of the district of Logroño. -Populated areas, neighbourhoods or villages: The Recajo neighbourhood and the Atayuela and El Olivar country houses. 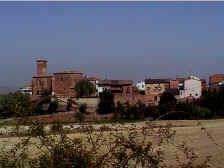 -Economy:Today it is a booming town thanks to the nearby "El Sequero" industrial estate and to its prosperous irrigated farming. 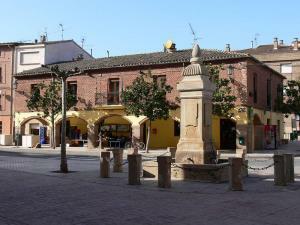 Aguilar del Río Alhama is a municipality in the district of Cervera, La Rioja. It lies among low mountains in the foothills of the Sistema Ibérico mountain range. 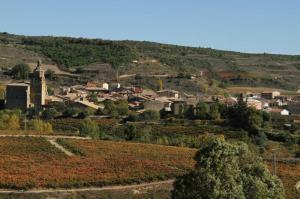 It is part of the Lower Rioja region through which the River Alhama crosses. -Location: It is part of the district of Cervera del Río Alhama. -Populated areas, neighbourhoods or villages: The villages of Gutur and Inestrillas. -Economy: Theses are farming villages (a lot of asparagus is grown) and some animals are also farmed. Population numbers have dropped dramatically over the last few years. It was part of the feudal estate of Cameros de Los Arellano and subsequently it belonged to the Counts of Aguilar. -Surrounding area: The 17th century San Miguel and San Martín Chapels. The first of these chapels is abandoned and the other has been turned into a private property. There is a 16th century aqueduct with two semi-circular arches over the River Rabanera. The villages of Larriba and Torremuña (uninhabited). The Real Mountain is a wonderful place for an amazing walk through the National Hunting Reserve. -Location: It is part of the district of Torrecilla en Cameros. 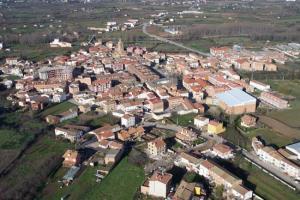 -Populated areas, neighbourhoods or villages: Larriba and Torremuña. -Economy: Crop and livestock farming are the two main activities in this municipality. Albelda de Iregua is a municipality within the autonomous region of La Rioja. The population is 3,098 and the town measures 23.03 km². -Populated areas, neighbourhoods or villages: Santa Fe de Palazuelos. -Economy: The main activity is farming and the main crops are fruit and vegetables. Alberite is a municipality within the autonomous region of La Rioja. -Economy: Irrigated farming is particularly important here as the municipal area lies around the River Iregua. 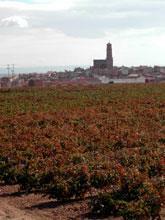 Alcanadre is a municipality within the autonomous region of La Rioja. The River Ebro crosses the municipal area. -Location: It is part of the district of Calahorra. -Economy: There is a lot of irrigated farming and the main crops are barley, wheat, olives and grapes. The area also has a large canning industry. 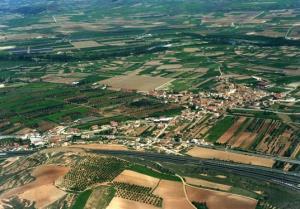 Although the El Sequero industrial estate is close, population numbers have decreased since the middle of the century. Aldealobos es una localidad del municipio de Ocón en La Rioja, (España). Aldeanueva de Cameros es un núcleo de población perteneciente aVillanueva de Cameros. Se encuentra situado a 5 kilómetros de dicho pueblo camerano. De ser una población prácticamente deshabitada, ha pasado, gracias a la reforma de sus edificios y al entorno que lo rodea, a convertirse en un enclave idóneo de turismo rural en la época estival. 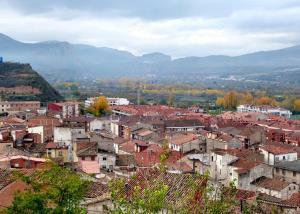 Aldeanueva de Ebro is a municipality in La Rioja that is part of the Alfaro district. It is 10 kilometres from Calahorra and 65 kilometres from Logroño. The municipality dates back to the 11th century, when it was settled by shepherds from the Cameros region and from Calahorra following Calahorra's recapture by King García Sánchez III of Nájera in 1045. It was a village belonging to Calahorra until 1664, during the reign of Felipe IV, when the friars at the Fitero Monastery, which was linked to the village, lent the villagers a significant amount of money and it became an independent town. Following many claims, the village then called Arnedo de Ebro was handed to Manuel Íñiguez of Arnedo. -Location: It is part of the district of Alfaro. -Economy: The main activity is grain and grape growing, although other fruits and vegetables are also farmed and these products have resulted in a large canning industry. Alescanco is a municipality within the autonomous region of La Rioja. -Location: It is part of the district of Nájera. -Economy: The main industry is grain, grape and potato farming. Alesón is a municipality in the autonomous region of La Rioja. -Economy: This is a farming area and the main crop is potatoes. Wool is also produced.